The 2013 Mid-America Homesteading Conference is now history, and according to the evaluation forms, informal conversations, and Facebook comments, it was a success. 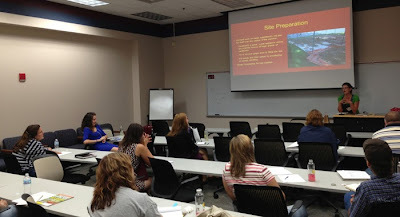 Speakers and attendees (who came from as far away as Louisiana) enthusiastically shared information with one another. Thanks to the generosity of local Big R and Tractor Supply stores, as well as Baker's Creek Heirloom Seeds, a few lucky attendees also took home some cool prizes. Many thanks to our volunteers Karen and Jane, who did everything from registration to making last-minute copies and helping with set-up and break-down. Plans are already underway for 2014, so if you have suggestions for changes, as well as speakers and topics, be sure to let us know by commenting below! Although we think that the great variety of speakers and information is the best reason to attend the Homesteading Conference, it is just a bonus that we are getting samples and raffle items for attendees. Baker's Creek has donated a variety of seed packets so that everyone can pick their favorite or perhaps something completely new that you've always wanted to try. Food Saver has donated the coolest little bag openers so that you no longer have to stab your vacuum-sealed freezer bags with a knife to open them. Those who attend the gardening sessions will have the opportunity to win a variety of prizes such as gardening gloves from Ryobi or a copy of Heirloom Gardener magazine. And we are continuing to work on getting more donations of great products for you to sample. Don't forget! The deadline for the early bird registration discount of $75 is tonight at midnight, so register now to save $14. If you were planning to attend Sunday's post-conference Goat Workshop, there are only two spots still available as I type! If you attempt to sign up and the workshop is full, Paypal will not let you know until you attempt to pay, at which point it will tell you that the inventory is at 0. If you happen to have visited the Contact page on our website in the last few days, you may have seen nothing on the page! It came to our attention yesterday that our contact form had disappeared. Apparently the company that made the form has disappeared from the planet, and their forms disappeared from the Web. We now have a brand new form on that page so you can contact us privately. But as always, you are also welcome to comment on each of our posts on here or on our Facebook page. The deadline for the early bird registration discounted price of $75 is Wednesday, July 31, which is only one week away. On August 1, the price will go up to $89. Click here to register now. Your registration includes admittance to six, one-hour sessions throughout the day. During each hour, you'll have the opportunity to choose between three different tracks: livestock, gardening, and do-it-yourself. In the livestock track we'll be covering everything from bees to cattle. In the gardening sessions you'll go beyond the basics to discover what you need to know for successfully growing your own produce, such as companion planting, composting, pollinators, and extending the growing season. 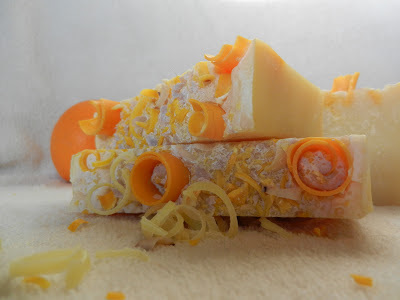 And the do-it-yourself demonstrations will include soapmaking, canning, and making mozzarella. Click here to check out the complete schedule. We're also providing morning snacks, lunch, and afternoon snacks. If you prefer a vegetarian lunch, be sure to put that in the comment section of the registration. And don't forget about the seed swap we're hosting this year. Bring your extra seeds to share with other attendees! The room block and website conference discount at the Hampton Inn also expires on August 1. After the first, you will still be able to get the discount if rooms are available, but you will have to call the hotel directly. Click here to go the Hampton website and make your hotel reservations now. 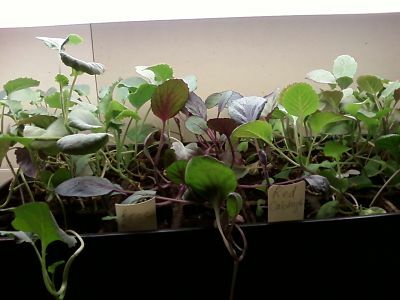 Participate in our seed swap! 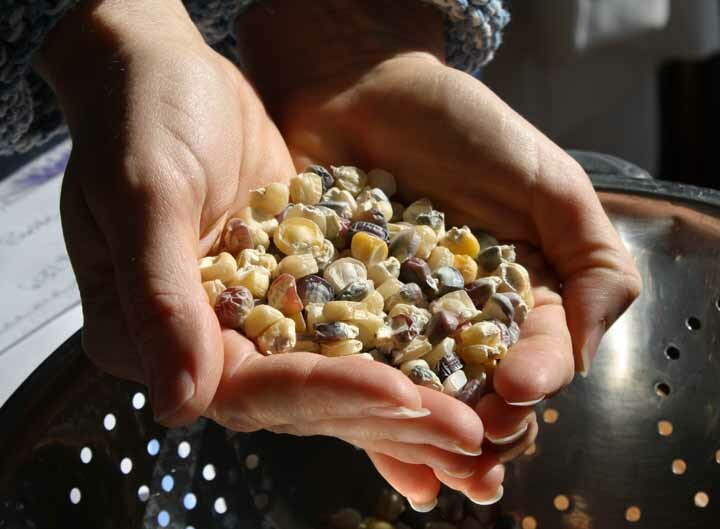 If you have more seeds than you can use or if you just want to share a few, there will be a seed swap at this year's conference. We will have a table set up where you can leave your seeds and pick up seeds that have been left by others. You can bring seeds in their original packets, or if you'd like to spread the joy, you can put a few in envelopes that are clearly marked with the variety and the year they were harvested, as well as any notes you want to include on growing, harvesting, or other tips for success. Want to know more about seeds swaps? Check out this article. If you have any other questions, don't hesitate to ask in the comment section below! Schedule is up! And registration is open! The 2013 schedule has been posted, and we have some exciting additions and changes to this year's conference. Several attendees last year suggested live demonstrations, so you will get to see the actual process of canning, soapmaking, and mozzarella making. Cathy Lafrenz will be doing a two-hour canning demonstration first thing in the morning. Cathy is a veteran canner and canning instructor, and she said it couldn't be done in an hour, so this session will span the same time as two other sessions. 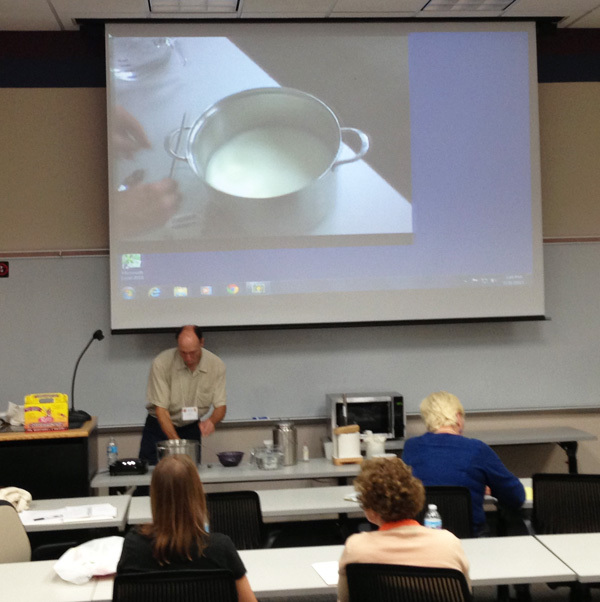 After lunch, Michael Boehle will show attendees how to make mozzarella cheese followed by Donna O'Shaughnessy doing a soapmaking demo. This year we have also allowed 15 minutes between sessions instead of 10 because you asked for it. With only three rooms all next to each other, we didn't think you would need more than 10 minutes last year, but we understand the desire to network more and check out the books in the conference bookstore. The Hampton Inn across the street from the college is once again giving us $20 off the regular room rate, and as with all Hamptons, your stay includes a hot breakfast. Knowing that our conference spans a holiday weekend, the rate is good from Friday night through Monday morning, in case you want to be in town for the whole weekend. We are very excited about this year's schedule and speakers and are looking forward to meeting everyone on August 31! On August 31 .... the alarm will go off at three am. I consider myself to be a morning person. But three am is the middle of the night. I will nudge Honey ... once ....... twice....... maybe three times. It is time to get up. We shower, dress and try to figure out how to mainline coffee. We will load the car ...... canning supplies, veggies, powerpoint presentations. I will double check the list like Santa, the night before Christmas. Honey finishes up chores as I close the business for the day. I have worked on that for weeks before ..... scheduling earlier cutting days, posting on social media, making sure the signage is out. A little before 5 am, the car is headed east on I-80, crossing the Mississippi River on our way to Joliet. Yes ... we are on the way to the Mid-America Homesteading Conference. So what makes us drive for 3 hours ....... I will talk most of the day ....... and then, we drive 3 hours home? 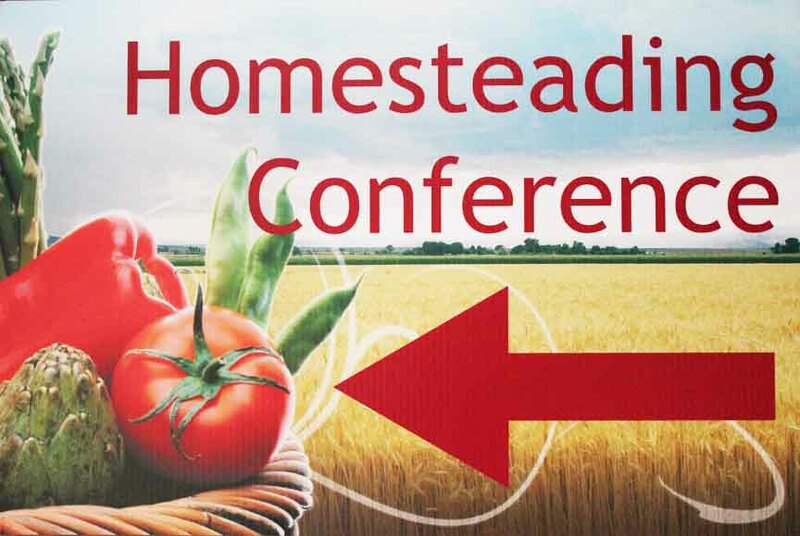 What makes the Mid-America Homesteading Conference so special? Let me try to explain. When my husband and I started our quest for a homestead-based life around 15 years ago, we looked at the usual sources ........ Mother Earth News, Countryside, and Hobby Farmer. We loved what we read .......... but when we started to implement some "homestead" practices such as canning, spinning and backyard chickens to our life ...... we felt like we lived on an island! We were alone in our pursuit of the simple life. When I would bring a hostess gift of a jar of jam or home-baked bread ..... I felt like I was being patted on the head. How cute! You can! I would be waiting for an appointment, knitting a pair of socks to pass the time. It never failed. Some one would say ...... My grandmother did that. But she only used one needle. That would be crochet. What are you making? Socks. Whyyyyy???? Fortunately, times have changed!!! People are now embracing a more self-sufficient lifestyle. They want to learn what came so naturally to their grandparents. And the Mid-America Homesteading Conference gives them the opportunity to learn and ask and share. From bees to soapmaking, fiber to compost, canning to pork, chickens to sorghum ......... the conference will be filled with knowledgeable, friendly instructors that will tell about their successes and their failures. There will even be live demostrations .... so questions can answered during the action! Last year, breaks were filled with laughter and fun as we sat and ate with like-minded people. It didn't matter that they lived 250 miles from us .......... it was a community. And a homestead community feels much better than an island! Cathy Lafrenz started her farm in 2002, Miss Effie's Country Flowers and Garden Stuff, which is a partner site for Silos and Smokestacks National Heritage Area. You can get to know Miss Effie's through Facebook and Cathy's blog. She will be talking about homestead businesses at this year's conference, as well as doing a two-hour canning demonstration. At this year's conference Master Gardener and Composter Tina Lupiezowiec of Madison, WI, will talk about composting, companion planting, and gardening basics. If you want to have fun while learning about gardening and composting, you won't want to miss Tina's talks. 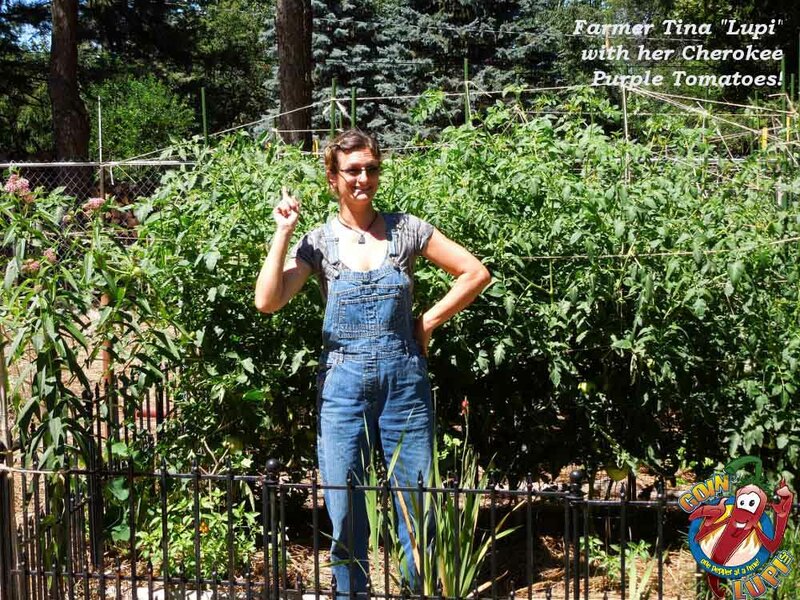 "I am a sort-of ordinary person who decided several years back to become an Urban Farmer, and in so doing, discovered that I could make a positive difference in the lives of others," says Tina. "My flaws and imperfections, of which there are only a few (thousand), seem to make me more approachable than others who possess knowledge far greater than mine. I've been told that folks don't feel dumb around me. Hum?" How does one become an urban farmer? The adventure began when I became a homeowner. One pregnant day, life decided it was time to settle me down. We moved into an older neighborhood on a ¾ acre lot on the west-side of Madison, Wisconsin. I began with simple ambitions: green grass, pruned trees, a mint garden, raspberry rows, and a 500-square-foot vegetable garden. Then, before I knew it, what had started as a modest garden exploded into the nearly absolute cultivation of my entire property. Employing natural organic methods, Farmer Tina grows countless varieties of gourmet tomatoes, peppers, garlic and herbs to sell at local farmers' markets. Sustainability-minded and an advocate for everyday people, Farmer Tina is definitely a character you’ll find interesting. She is an enthusiastic public speaker, motivator, trainer, community volunteer and Jill of Most Trades. Once you have learned and laughed with Farmer Tina, odds are good, you'll be goinlupi too! You can get to know her better by visiting her website, liking her Facebook page, and following her on Twitter. We had several requests for sessions related to fiber animals at the next conference, so here you go. Deborah Niemann, author of Homegrown and Handmade, will present Fiber Animals For Fun and Profit. 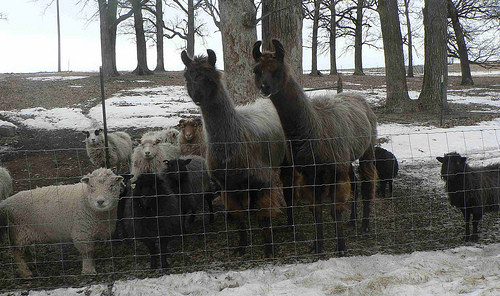 Whether you have a hundred acres or just a couple, you'll discover what type of fiber animals will work for you. 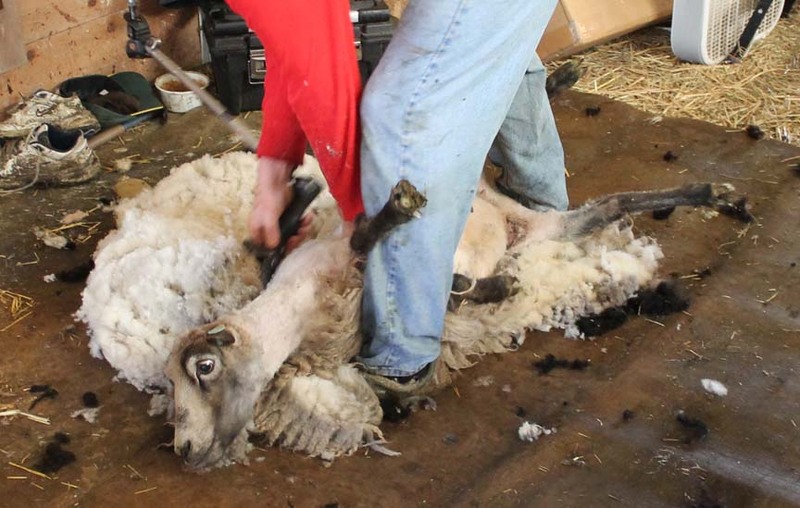 We'll talk about fiber from rabbits, goats, sheep, and camelids (llamas and alpacas), as well as the basics of caring for fiber animals, how to harvest fiber, and how to process it for selling. 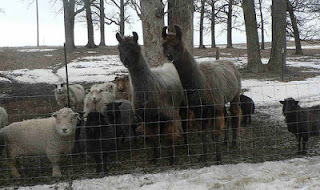 Deborah and her family raise Shetland sheep and llamas and have raised angora rabbits in the past. Their fiber is sold raw, as roving, and in yarn, as well as in finished garments. You will get to see, feel, and smell (yes, smell!) 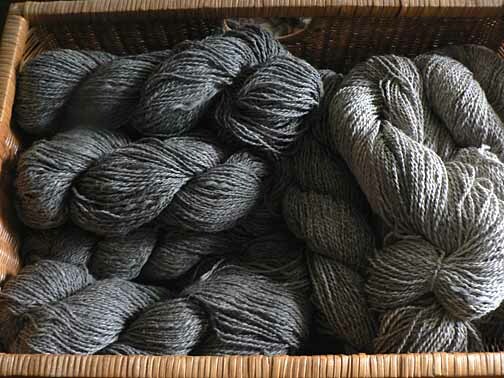 natural Shetland sheep wool in various stages of processing. 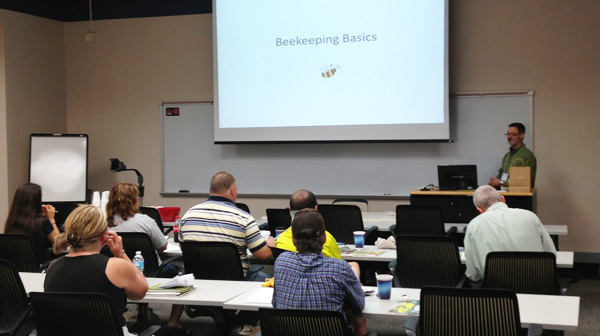 Seasoned beekeeper Richard McGinnis will be presenting two sessions on bees and beekeeping at our 2013 conference. He describes himself as a "Homesteader, Master Beekeeper, Heirloom Seed Enthusiast, Food Preservationist, Hen Whisperer. Talented organizer of other people's random thoughts and processes. Skilled time manager, patient tutor." 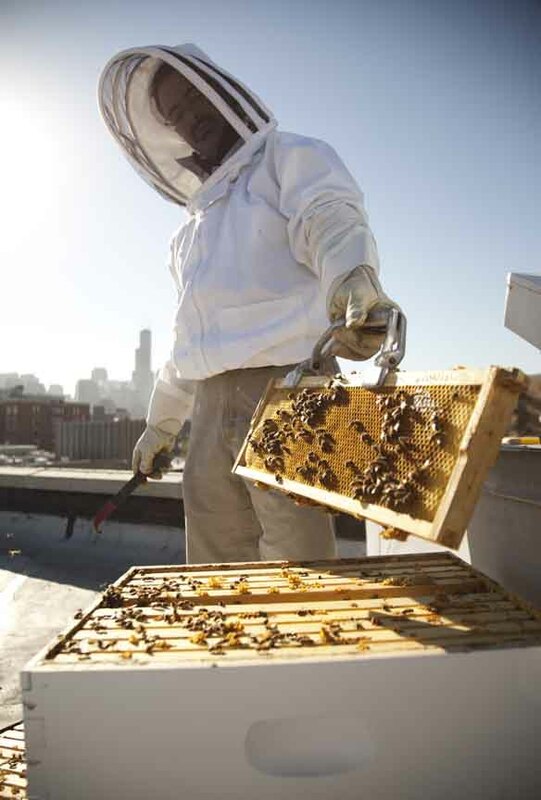 Richard has kept bees on his rural Illinois homestead, as well as atop a Chicago skyscraper. Bee Basics: Are you thinking of getting a garden beehive for fun or starting an apiary (a place where beehives are located) to make a little cash? Are you bee-curious? Do you have questions about CCD (Colony Collapse Disorder)? Do you want to help make your garden or orchard more productive? Or, do you simply want to participate in a conversation about different ways we can be kind to our pollinators? North-central Illinois beekeeper, Richard McGinnis, will lead a presentation on the basics of beekeeping, beekeeping etiquette, best bee practices for our region and introduce you to the stickiest business on the planet. Beekeeping 101: Richard McGinnis leads an overview of materials, costs, pros and cons of different hive types (i.e. the Langstroth hive and the top-bar hive) and what to expect when starting your apiary. We will also review the anatomy of honey bees, the care and feeding of honey bees and managing the colony throughout the different seasons. We will discuss in disgusting detail the various pests, parasites and predators of our beloved bees as well as keeping an eye out for swarms and capturing feral colonies. Time and interest permitting, we will chat about the products from the hive, marketing these products, and managing a seasonal business. 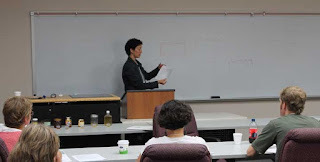 Even if you are a seasoned beekeeper, you will want to attend this session to contribute your knowledge – the best ideas come from community conversations and shared concepts. Beyond bees, Richard is a statistical analysis and problem solving professional, talented teacher and manager of information technology. He exceeds at development of marketing strategies and targeted demographic delivery. He is passionate about bringing divergent cultures and communities together through sustainability initiatives using multi-platform, integrated media combined with hands-on experiential workshops as a cohesive and compelling reality. 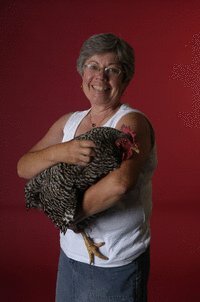 This year's Mid-America Homesteading Conference will again be held at Joliet Junior College the Saturday before Labor Day, which falls on August 31, 2013. We are currently looking for speakers. If you or someone you know would like to speak on a topic of interest to homesteaders, just fill out the online application! You can still see last year's conference schedule here. Speakers get free registration to the conference, as well as lunch, and we'll also help with travel expenses if you're driving more than 120 miles to attend. If you are not interested in speaking but have ideas for topics or speakers, please leave a comment below! For those who were unable to attend the sold-out goat workshop in September, there will be another one at Antiquity Oaks Farm on Saturday, February 2. 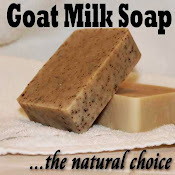 The topics covered will be the same as the September workshop -- care, breeding, birthing, soap and cheesemaking -- and this time, there are several goats due, so participants will get real life experience seeing pregnant goats and learning to determine when they might kid by looking at the belly and udder and checking tail ligaments. 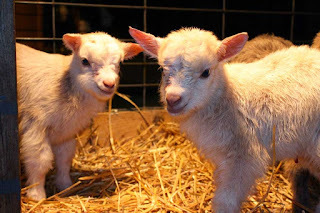 Several goats have already kidded, and more will be born before the workshop, so you will also get experience in determining polled or horned status in kids. Registration for Goats: Care, Breeding, and Production is available at the Antiquity Oaks website There are also shorter classes in goat care, soap, and cheesemaking later this winter and spring. 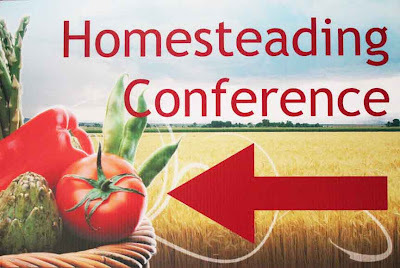 Information about the fall homesteading conference will be posted soon!